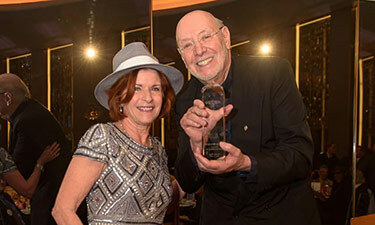 Brooklyn’s Red Hook waterfront was the scene of the 2018 Best of Brooklyn on May 16, honoring Bernard ’62 and Ethel Garil. 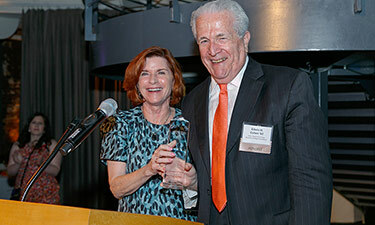 More than 200 guests filled the historic Liberty Warehouse at the Brooklyn College Foundation's annual fundraising gala to honor the longtime supporters of the college. The Nov. 28 fundraiser aims to unite faculty, staff, friends, and more than 137,000 alumni to reach the highest possible goal and ensure the success of Brooklyn College students. 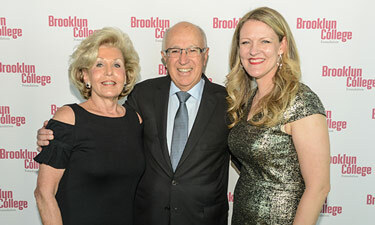 On May 12, 2016, alumnus Don Buchwald '59 was honored at the Brooklyn College Foundation's annual fundraising gala, Best of Brooklyn, at New York’s iconic Rainbow Room. 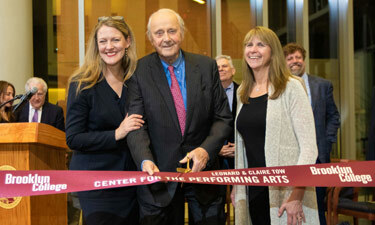 Buchwald, who heads Don Buchwald & Associates, has spent decades helping to guide the careers of many talented entertainers, while also being one of Brooklyn College's staunchest supporters. 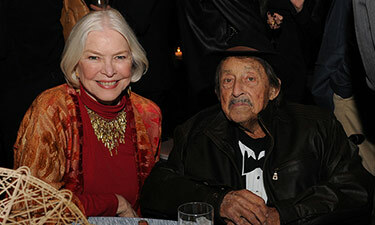 The Brooklyn College Foundation was proud to honor the late iconic film director Paul Mazursky ’51 at the annual Best of Brooklyn gala in May 2014. Paul was joined by his wife, Betsy, and two of his favorite actors: Ellen Burstyn and Marsha Mason. 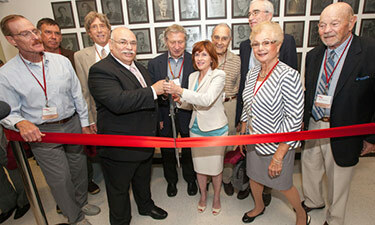 Almost 100 scholar-athletes are honored in the new Hall of Fame in the West Quad Center.